inserts Archives « Breastfeed.Babywear.ClothDiaper.Naturally! Breastfeed.Babywear.ClothDiaper.Naturally! One of the gold standards in cloth diapers is Thirsties. We use their hemp inserts in literally every diaper we use. The year our diapered babe went to childcare we immediately purchased a stack of their AIOs. Thirsties is the only brand of which we own every single one of their products. They offer an outstanding company ethic too, a Colorado-based family company that stays connected to their clientele, committed to sustainability, and partnered with Giving Diapers Giving Hope. 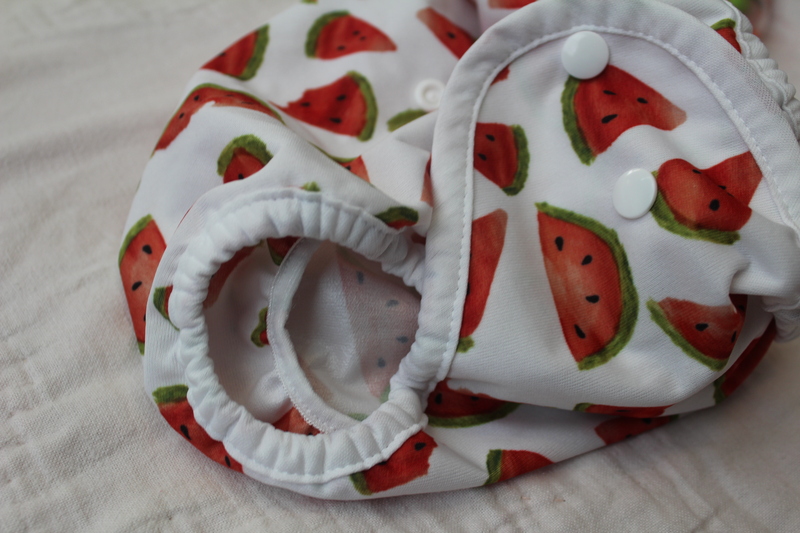 If you’ve been away from the cloth diaper scene for a couple years, but especially the last year, Thirsties has made some major updates on most of their products that you’ll want to know about. In the last several years they updated their aplix to a larger tab with a higher quality aplix. It is arguably the best on the market if not one of the best. They also introduced a one-size pocket diaper with a hemp insert that is trim and absorbent. At the same time they’ve kept the quality and double-gussets that offer superior protection. Cotton organic doublers—a natural-fiber alternative to the cotton velour doublers. Natural fitteds in one-size and newborn options—Bamboo cotton replaces the old style fitted cotton mix. The inserts are also updated, and no longer fully sewn in like the older design. Natural AIO in one-size and newborn options—The updated AIO has inserts of hemp and organic cotton, an update to their previous micro terry version. The material adds absorbency with its natural fibers. Change in design of the inserts (two sewn in at one side of the diaper) cut down on dry time and add versatility in how you place the absorbency for your child’s specific needs. Sized covers now cover down to four pounds with the newborn size option. Organic cloth wipes—updated from velour to an irresistible organic cotton and terry. Thirsties also released a slew of prints in the last 18 months including the Ocean Collection, Woodland Collection, and a handful of limited and seasonal editions. Pick yours up today! Lynette is a mom of three children from 6 months to age four. She has cloth diapered all three since birth and enjoys all things eco-friendly and mindful living. 1. Double check the fit – The most important protection you have against leaky diapers is a proper fitting diaper. If you have an adjustable size diaper (ie- a one size diaper), perhaps experiment with the settings a bit. Sometimes parents keep baby on the middle setting for too long because they are worried about their nine month old fitting into the largest setting on a diaper that is supposed to last until the baby is two years old. I get it! I am even guilty of that myself! But delaying moving up a size doesn’t ensure the diapers will fit as long as you want them to…it may just be preventing them from fitting properly and therefore working effectively in the meantime. Also be assured that it is very possible (and likely) that the setting that fits your 9 month old, will also fit when he/she is older. Babies’ bodies change a great deal during the first two years of life. There is usually a “chubby” phase that occurs as they are on the brink of greater mobility. 2. Add extra protection – There are many awesome options for increasing the absorbency of your cloth diapers. Soakers, doublers or an extra insert might be just the thing for you to help keep baby’s bum (and clothes and bedding) extra dry! 3. Strip your diapers – If it’s been a while since you last stripped your diapers, perhaps they are in need of a good stripping! Stripping cloth diapers is when you remove the laundry soap residue build-up that interfere with the absorbency of your diapers. Not sure how to strip your diapers? Check out this blog post for more information. 4. Consider re-vamping your stash – Truth is certain diapers fit certain babies better. Just as two women can both weigh 140 lbs but that doesn’t mean they will fit into the same pair of jeans. If you have a variety of diapers in your stash, you probably know which one is your favorite…the one that’s always dirty! The least favorites are the ones that are always there, perfectly clean, just staring you in the face each time you change your baby’s diaper. Keep in mind that what is your least favorite, might be somebody else’s top favorite! Since there is a market for buying used diapers, consider selling the diapers that don’t work well for you. Then you can turn around and re-invest that money into buying more of your favorites! 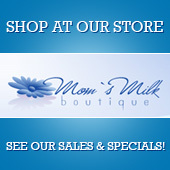 If you are unsure what your favorite diaper is, consider doing the 30 Day Fling with Fluff package through Mom’s Milk Boutique. It’s a great way, low-cost way to sample a variety of cloth diapers to determine what works best for your baby. Each brand of cloth diaper has it’s own unique design and combination of fibers that may or may not be a good fit for your little one. As with most things in parenting, the only way to really know what works is through experimentation. 5. Change baby more frequently – Some babies are what we affectionately refer to as ‘heavy wetters’. If you have a heavy wetter changing baby more frequently might be your best protection against leaky diapers. It seems that on average most cloth diaper mamas change (or at least check) their baby every two hours during the day. Some mamas can go as long as four or more hours. However if you have a heavy wetter you will likely need to change baby at a higher frequency than average. How do you know if you have a heavy wetter? If you are questioning it, you probably don’t…because you would know if you do! 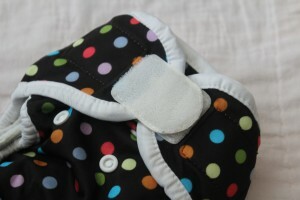 Have you dealt with leaky cloth diapers? Any tips or suggestions to share with your fellow cloth diapering mamas?